In “What is an Internet of Things Dashboard?“, we looked at an IoT Dashboard compared to a car dashboard. We summarized that an IoT dashboard provides performance information about IoT equipment in a graphical user interface accessible through an internet browser or mobile app. Today, companies are realizing that the ability to remotely monitor equipment with IoT Dashboards will make them more efficient with their resources and provide more value to their customers. Now the question is, how does an enterprise acquire this capability? 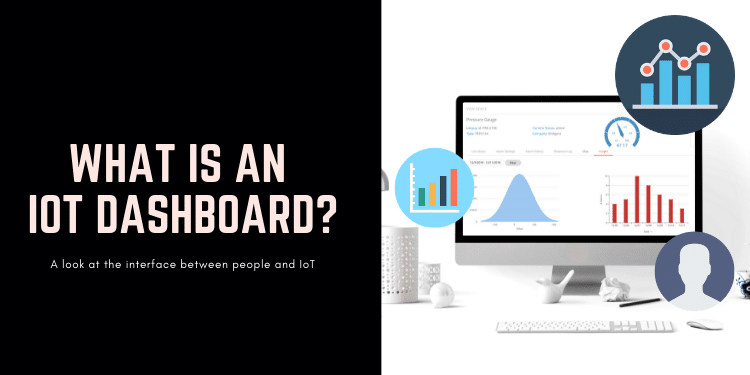 To help with the answer, we will explore the essential elements of an IoT Dashboard and what a project team may want to consider when making a decision on how to proceed. Modern IoT Dashboards are accessible through internet browser-based software applications or mobile applications. Dashboards take the form of enterprise software with the added complexity of being an integration point for IoT devices and being able to scale as more devices are integrated with the system. IoT device integration must include the ability to administer/manage deployed IoT devices in addition to receiving performance data from these devices. A develop your own approach typically results in a solution that closely matches the desired functionality. However, there are a few drawbacks. First drawback, having a dashboard custom-built for a singular use case can be expensive. Second, a considerable amount of development and testing time will be needed to create the dashboard. 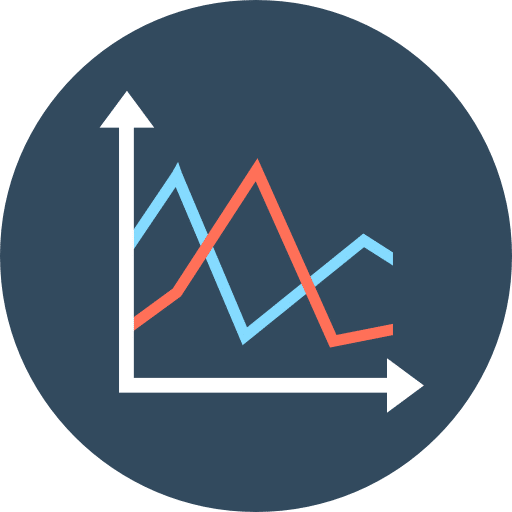 Third, custom-built dashboards are not particularly flexible and can cause problems with scale if a business experiences substantial growth or pivots to a new industry. 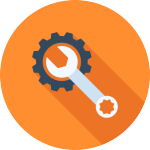 Fourth, you will need a competent software development team and a similar operations team for support and maintenance. The most common trap software developers experience is an oversimplification of the technology required. 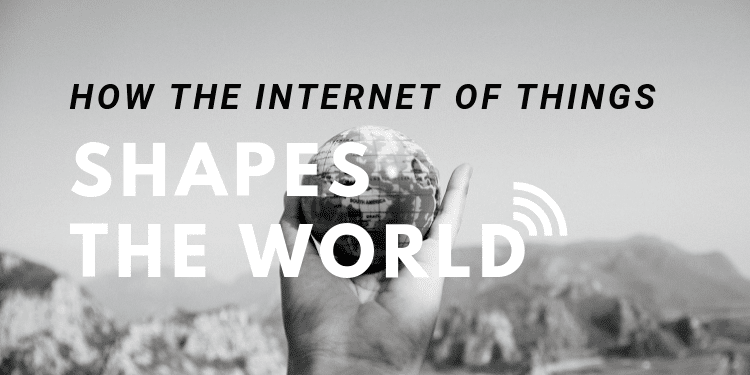 IoT solutions can be much more complex than web applications designed for people only. 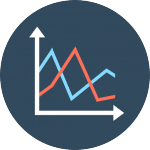 Off-the-shelf dashboard solutions exist to solve a very specific use case (your Alexa app, for example, is designed for Alexa hardware) or are highly configurable for data visualization (Tableau and PowerBI for example). The decision to go off-the-shelf comes down to a few primary questions: Does it meet your functional requirements? Is it compatible with my IoT Device profile? Does the pricing model make sense? Will it scale to support my end state? A platform dashboard is typically more practical. A platform is a pre-built foundation that acts as a starting point to a finished solution. By using a modular, pre-made dashboard that is highly customizable, much of the complex capabilities already exist and the way IoT data is accessed and consumed can be modified to a unique, user-friendly specification. In many cases, multiple specifications for visuals can be supported by one platform. If you lean toward the platform approach, there a few essential elements of a high-quality, customizable IoT dashboard to keep in mind. Going back to the car analogy again, consider a car dashboard with the speedometer on the left, gas gauge in the middle, and a tachometer on the right. Fairly standard. Now consider an electric car. The Speedometer may apply but you don’t need a tachometer or a gas gauge. An IoT dashboard platform must be flexible enough to accommodate both cases. In fact, the more variants it can support, the better chance it has to meet your specification. Of course, software engineers cannot plan for every variant imaginable, therefore the best IoT dashboards offer simple, intuitive customization options that make it easy to accommodate unique use cases. If you need to see a temperature graph in one pane and a humidity report in another, you want a solution that allows you to make this possible. If you want to see historical data in a histogram within a selectable date range, you should be able to do it. In addition to graphical changes, integrating the IoT dashboard with data sources is another common area for customization. Data can come directly from an IoT device, or it can come from a data processing platform (an IoT platform or an enterprise system). Depending on the IoT dashboard solution, you may require an integration directly with the IoT devices or with a data processing platform. How do you assess the amount of customization? Ask the vendor to demonstrate your use case with simulated data, see how close they get. And then ask who will close the gaps, them or you. If you need to close the gaps, you will need to understand resource and training requirements. If the vendor will close the gaps, they should provide you with a time and cost estimate. Back to the car dashboard analogy. When the dashboard says 65MPH, the car is going 65MPH. There is no reporting delay. This is real-time. Real-time capabilities can exist in IoT Dashboards but there are a number of obstacles that potentially get in the way. First, a delay in milliseconds may occur when transporting the data from the IoT device, over the internet, to the entry point of the IoT dashboard. Another delay may occur in the way the data is processed prior to displaying on the Dashboard. A third delay may occur in the way the dashboard image is transported to the end users web-browser. In an age where internet speeds are measured in milliseconds, the internet transport delay is generally negligible for most use cases (but not all). 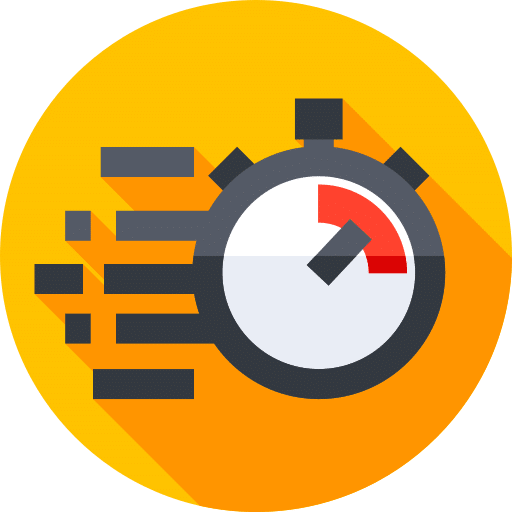 The processing delay is generally the biggest offender. If the IoT platform is able to process in real-time, it processes data in motion as it arrives. It is not reading to a database first nor is it collecting data in batches prior to processing. Common ways to notice processing delays is if an alert shows up on a browser dashboard only after performing a screen refresh or if the system forces a refresh on timed intervals in order to see data streaming onto the dashboard. Real-time processing should present the event as it occurs. Having access to real-time performance data in a dashboard is great, but sometimes access is just not enough. What if you are not looking at the dashboard or even near it. The best IoT dashboards have automatic alert capabilities that will send personalized messages via SMS, email or push notification. Bridgera Monitoring allows users to create automatic alerts with customized messages that contain real-time IoT Device data. 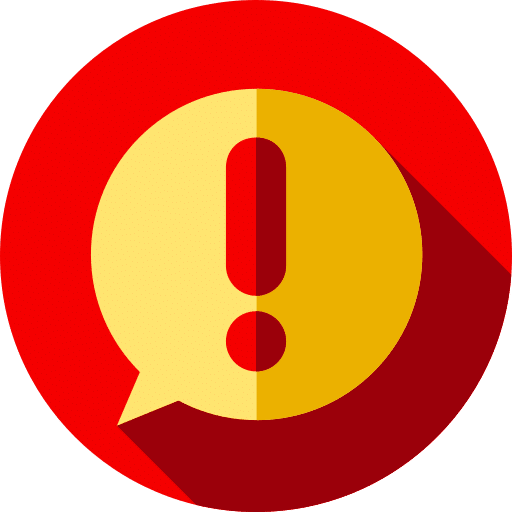 With a few clicks, a user can create the trigger threshold for the alert, create a short message with smart tags, and choose the channel of the alert message (SMS, email, push notification to a mobile phone, etc.). People are not the only ones who can consume alerts, an alert can be configured to send a command to another IoT device for machine-to-machine communication. Data is only useful if you’re able to capture and analyze it. Most IoT dashboards will give you access to data logs containing historical data. More flexible dashboards will have capabilities to glean insights from data over variable time periods. Over time, as you build up your historical database, you will want to analyze the data by looking for patterns that ultimately help your company problem solve and make better decisions. These patterns may be analyzed for a particular device, across a family of common devices, or across devices located in a single installation as a few examples. With the right analytics capability and access to the data, there is no limit to what can be discovered. The important thing is to plan ahead by ensuring that you are capturing the data and are able to access, process and analyze the historical data in a flexible manner. 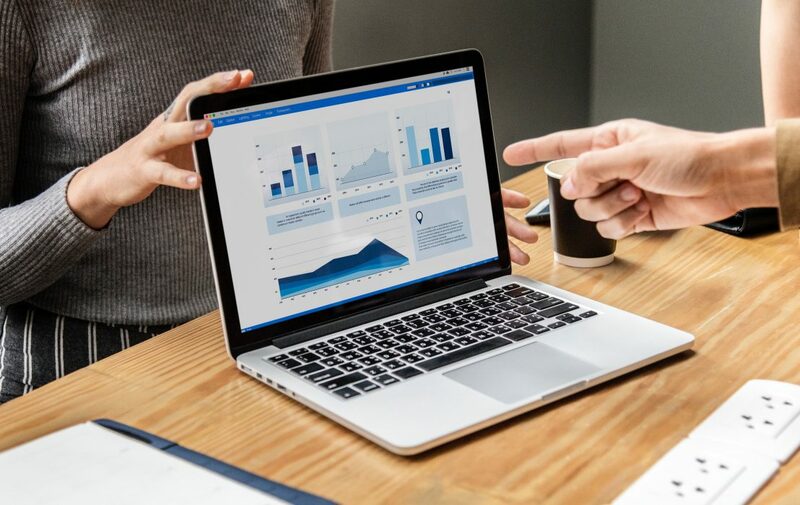 Your business may not need an expansive suite of analytical tools on day one, but once your business begins to grow and becomes more complex, these features will give you a significant advantage over more rudimentary dashboards. An IoT dashboard is only as effective as the people who will be operating it. Is it to be used exclusively by your own internal team, or will your customers be able to log into it to view their own data? The superior IoT dashboards have hierarchical systems that provide intuitive and secure role-based access control for any use case. As important as it is for certain users to access universal data, it’s equally important to prevent data from being shared between users that they shouldn’t see. 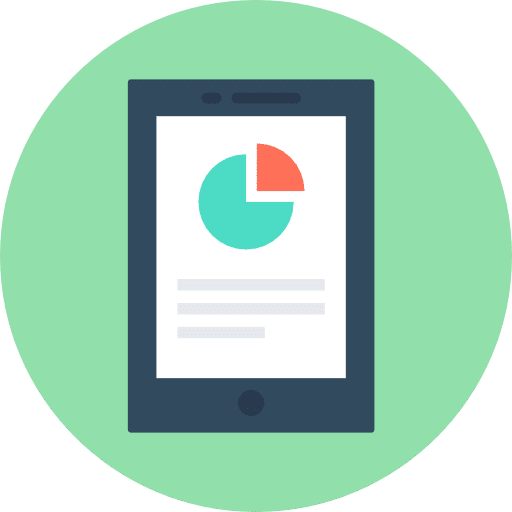 For example, a company administrator should be able to view data from both John and Jane, but John and Jane shouldn’t be able to see each other’s data. Or, if you are monitoring equipment installed at Company A and Company B, you should be able to see all the equipment but if you give Company A access to the dashboard, they should only see Company A equipment. A solid access control capability will also allow a company to brand the dashboard with their colors and logo so that when their customers access it, the dashboard looks more like their branded product. In order to make IoT dashboard platforms economical, they are often designed to operate as a multi-tenant service. This means that companies subscribe to use the platform and consume the capability as a service with the cost of the service spread over multiple tenants (or companies). 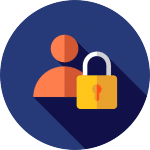 The access control capability, in this case, supports the segmentation of users and data to ensure complete privacy and anonymity. Since phones are now more advanced than all of NASA’s computers in the 1970s, they have become a daily part of our work and downtime. Due to their compact nature, smart devices (phones, tablets, etc.) are a perfect access point for many IoT dashboards. 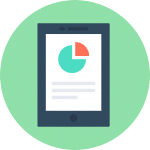 There’s hardly any software solution in the world that doesn’t have a mobile application for use on-the-go, and that includes many IoT applications. Mobile versions of IoT dashboards are extremely useful for convenience and versatility. By being able to access the solution from a smartphone, it eliminates the need to be tied to a desk computer or laptop. A technician can get by-the-second insights on equipment while en route to a location. If the IoT dashboard features automatic notifications, a user can receive an alert on their smartphone and immediately log into the dashboard without ever missing a beat. Bridgera Monitoring is an IoT Dashboard platform that is offered as a turn-key application to enterprises. While many companies find that the platform capabilities address the majority of their requirements, when there are gaps, the Bridgera development team is prepared to close them so you don’t have to. 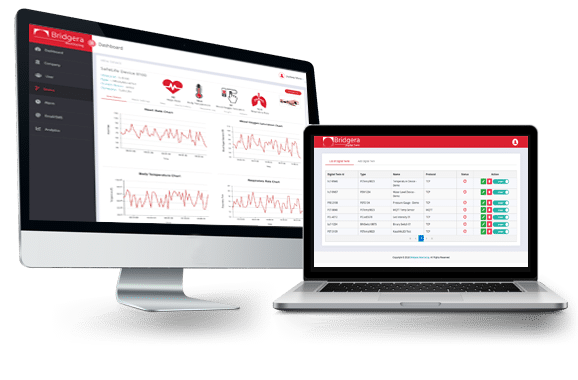 Learn more about Bridgera Monitoring equipment monitoring capabilities including real-time performance monitoring, automated alerts, data insights on performance over a variable time period, analytics for problem-solving, and control for modifying IoT device firmware and performance. Call or contact us and schedule a demonstration today.